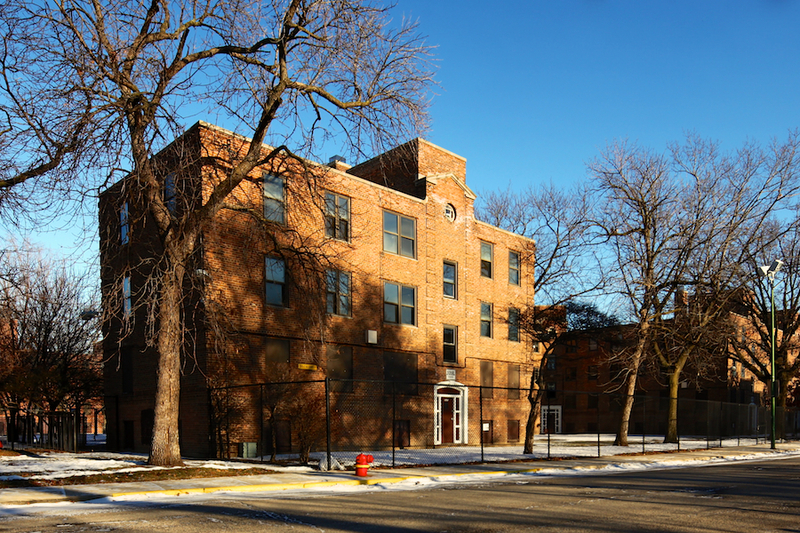 One of the largest vacant parcels of developed land on the North Side is the historic Julia Lathrop Homes. 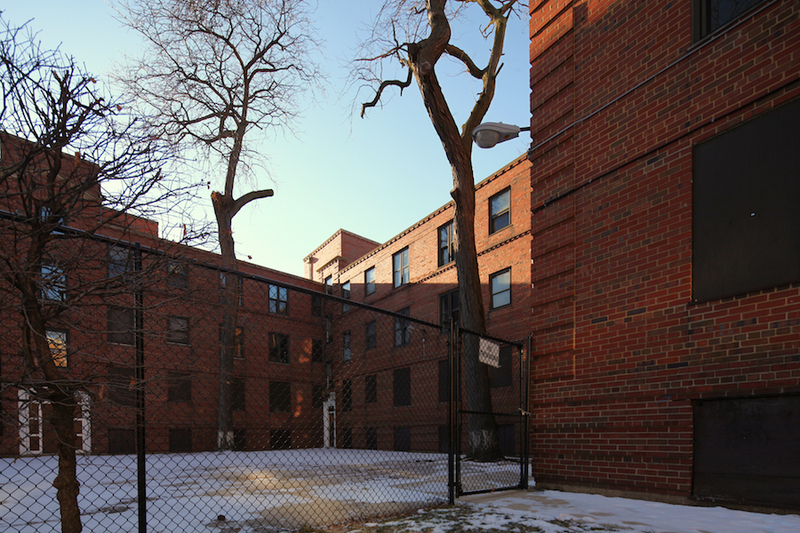 The future of this public housing site has been coming into focus in recent months, and the process has created a bitter confrontation between former residents, neighbors, community activists, and the Chicago Housing Authority. 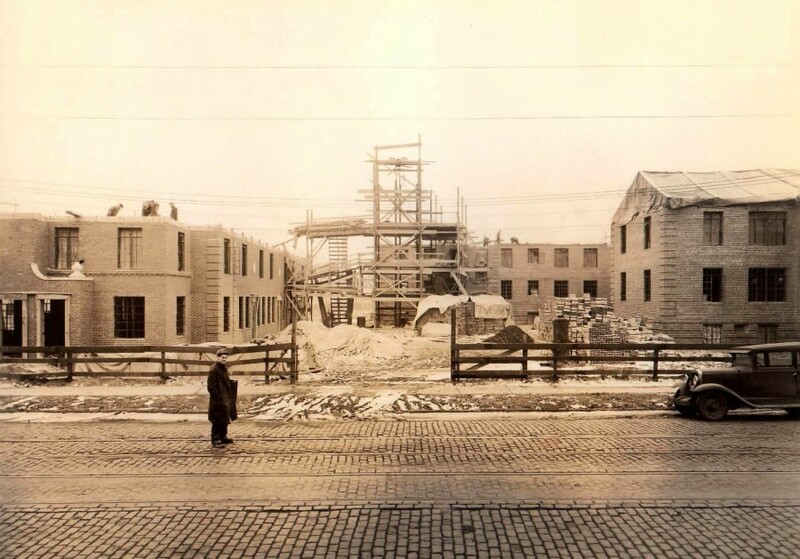 During the depths of the Great Depression, the Federal government was determined to create much-needed public housing, and, at the same time, provide jobs for unemployed architects and building trades workers. 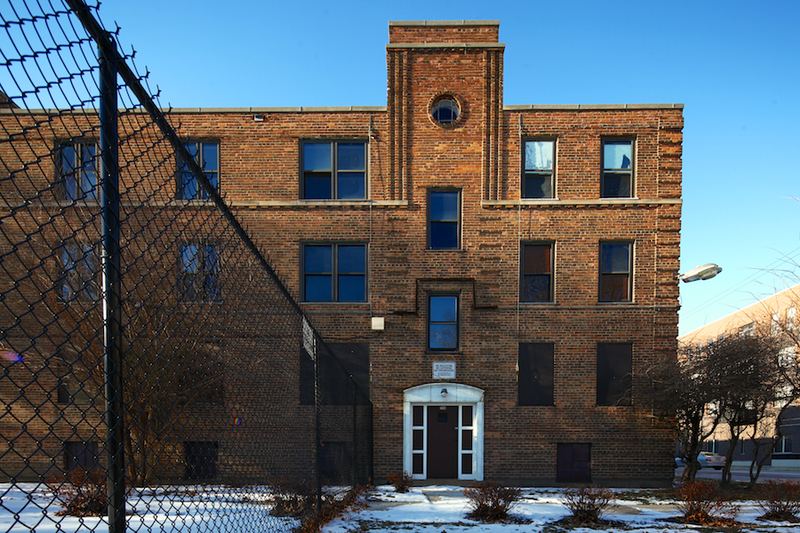 To find a solution to the perpetual problem of creating livable public housing, the government assembled a “Dream Team” of the best and brightest architects from Chicago. 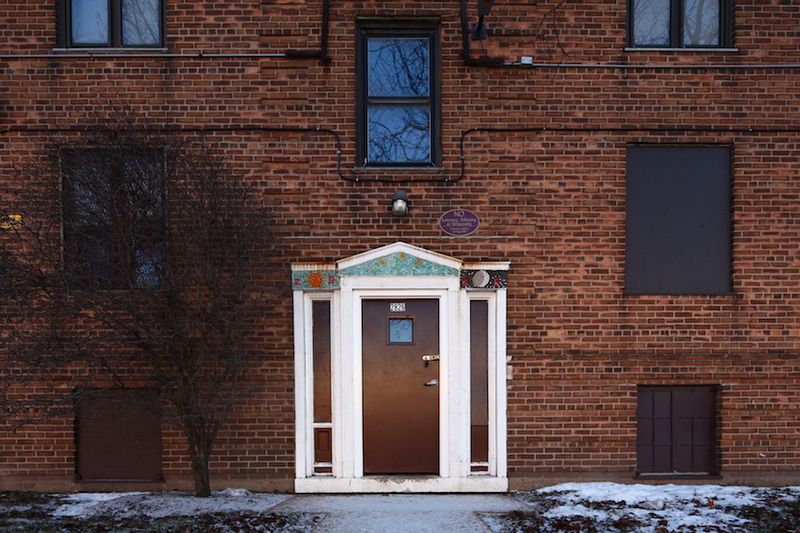 Arguably, Julia Lathrop Homes is the best public housing development Chicago has ever built, representing a racially mixed, remarkably stable community for generations of Chicagoans. Beautifully sited along the Chicago River with a magnificent and mature landscape, the buildings are low-rise and gently ornamented, creating an intimate, humane atmosphere. With regard to architecture, Chicago pre-1929 had little restraint and a penchant for the exuberant. 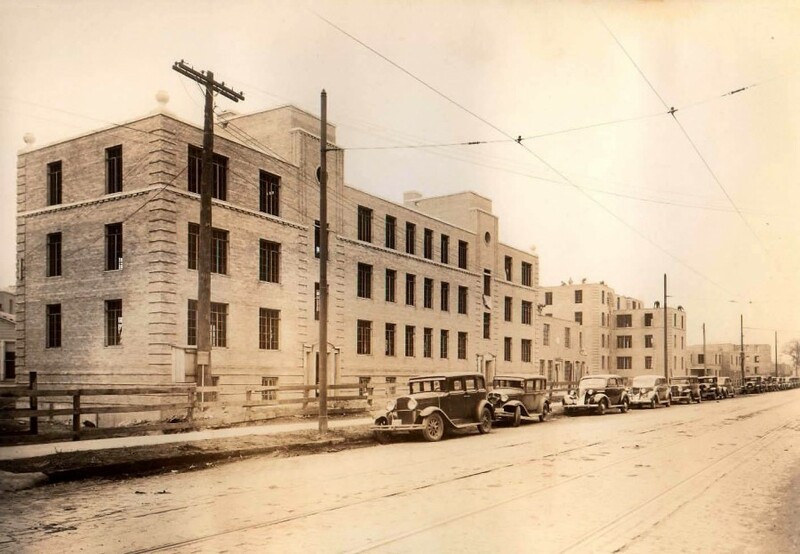 This changed with the war and Great Depression, but architects and designers still had a love of their craft and this is evident in Lathrop Homes. The structures are symmetrical with very light Art Deco ornamentation in a Georgian Revival mode. Although featuring subtle classicist form, function was spared little expense. Among the many other technological innovations included in the design was the use of Fire-Safe Metal Lath and Plaster Partitions. As the name suggests, it was a radically advanced construction method which made housing fire resistant. Other qualities of the partitions include sound/noise insulation and temperature regulation. 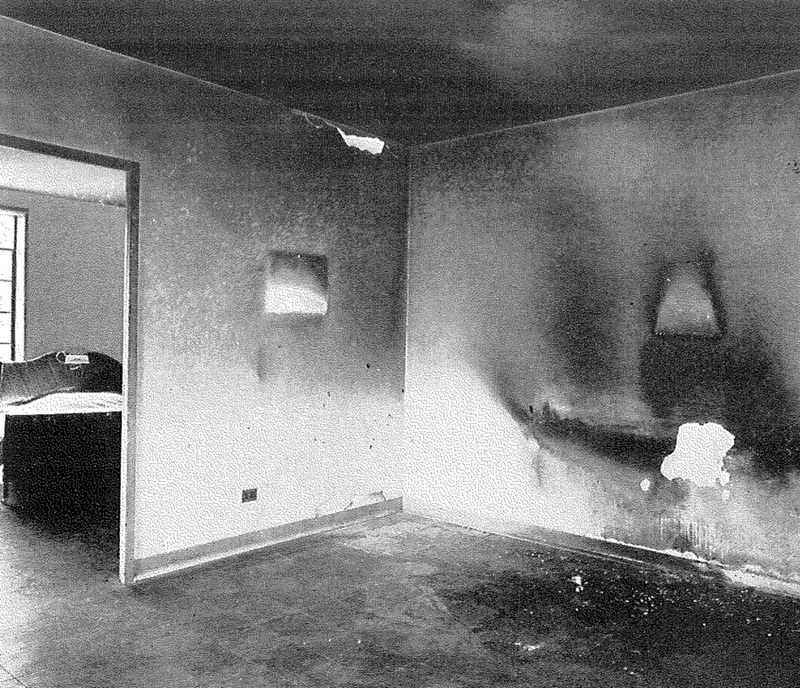 This was illustrated in a Milcor Steel Publication, when an early fire was contained to the originating unit. Like nearly every neighborhood, the area had ups and downs over the years, but stood in stark contrast to the violent and crime-ridden high rise projects that had been built decades ago. 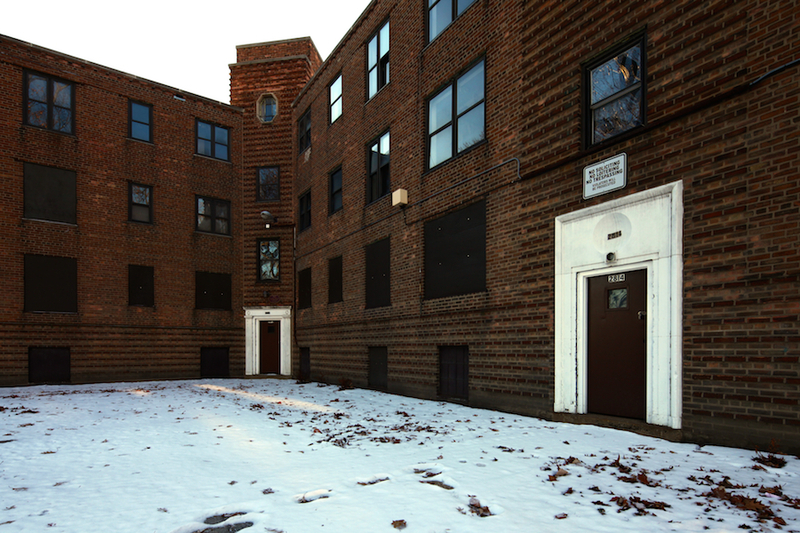 Despite how well built and structurally sound this vast complex of homes was, in 2006 Chicago Housing Authority announced plans to raze every building on the site. In its place were to stand apartments, condominiums, and town homes. CHA later retreated from the scorched earth policy of complete demolition, and after several years with little to no communication, plans emerged in 2010. 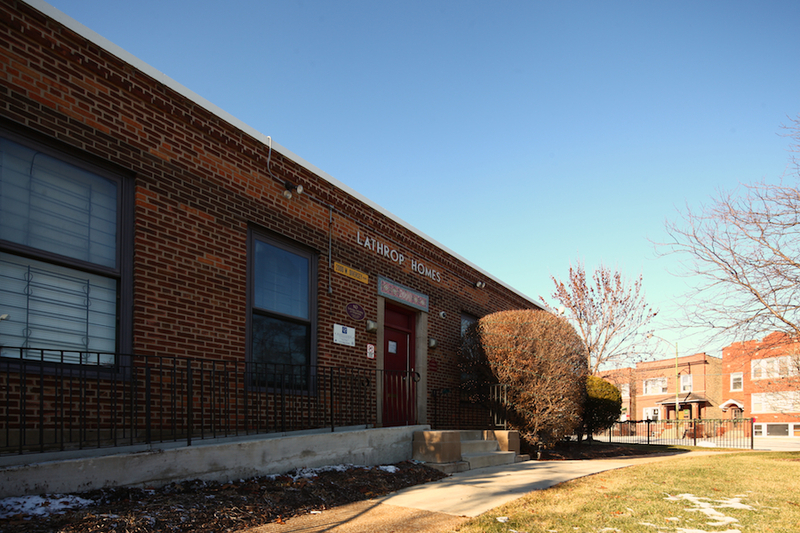 CHA handed over 35 acres of prime North Side real estate to Lathrop Community Partners, a consortium of real estate developers. A minority portion of the site sits in Alderman Scott Waguespack’s ward, and he has expressed opposition in a letter to CHA [PDF] to some elements of the plan. One of his objections is a high rise tower, referred to as an “iconic building” by the development group. The majority of the site sits on Alderman Joe Moreno’s ward, and he has voiced support in favor of more market rate housing. 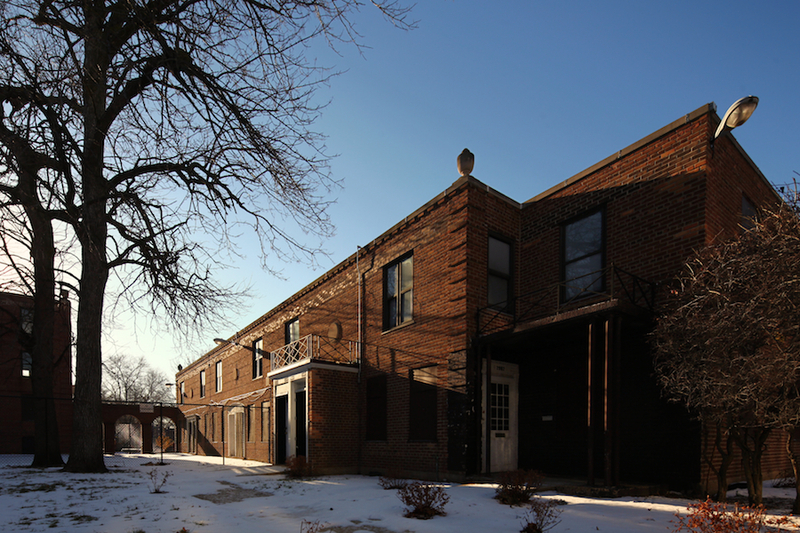 This makes it likely that despite recently gaining status on the National Register of Historic Places, many of the existing structures will be bulldozed and the project will go forward as planned. While CHA and other public housing entities nationwide have moved away from the high rise tower model, it’s puzzling that many of the low-rise structures generally deemed as a better fit are being demolished to make way for a new tall building. The net result of all this demolition and construction is 50% fewer public housing units and more market rate units. The motivation to build a tower appears to be a result of developer desire more than any specific housing or urban planning need. In all fields related to building things, it is more exciting to build new things rather than renovate or improve what exists. 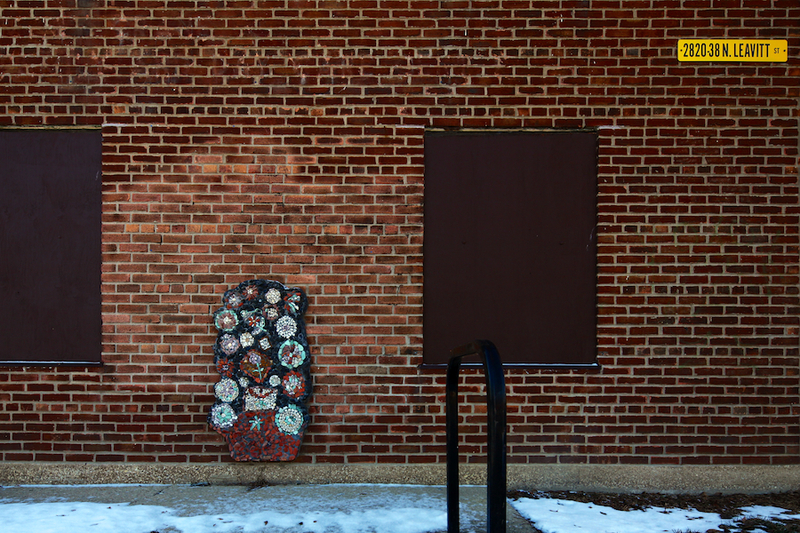 Walking along the grounds there are many common elements, including mosaic murals such as the one above. Also present on many of the buildings are rare yellow street signs that were replaced by today’s green ones in the early 1970s. 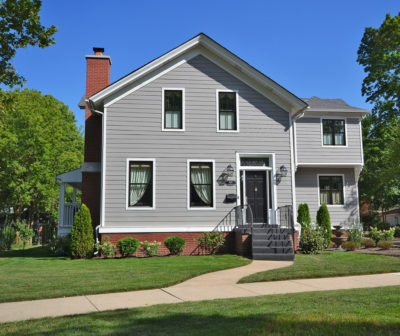 This well-preserved time capsule of an exterior is available for viewing and photographing, but expect harassment by overzealous security guards, even if on the public right of way and not CHA property. Demolishing and rebuilding is almost always more expensive than rehabilitation. In some cases the end result is a good investment–our skyline is living proof of that. But in the case of Lathrop, the plan and motivation are dubious at best. Demolishing a large number of structurally sound units in a low rise neighborhood to build a high rise in the new urbanist style, but without a nearby train station is a plan that would not likely launch in a purely private venture. In 10 years, it’s possible that this project will be considered a success by CHA and some Chicago residents. Unfortunately in the process we will have lost an intact parcel of New Deal architecture that bucked the stereotype of the deeply violent and troubled housing project, while many in need were kept on a waiting list. 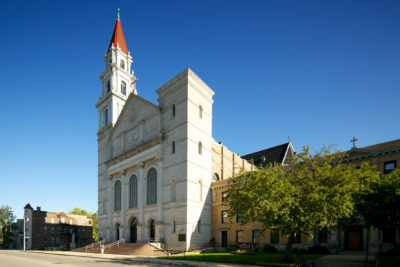 Construction is slated to begin in mid-2015. 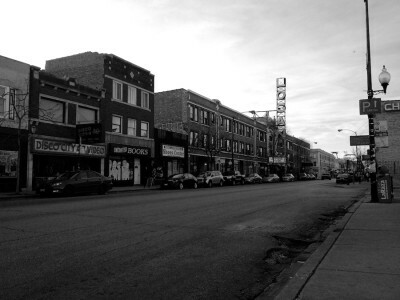 I saw a book at a used book store that listed quite a few successful people who pulled themselves up by their boot straps after living in Lathrop Homes. That is the way public housing is supposed to work. 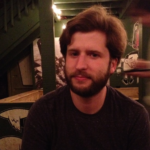 By the way as I write this in October of 2016 nothing has happened to redevelop the site.